Why could NONE of the Star Trek games get the Enterprise's bridge right? 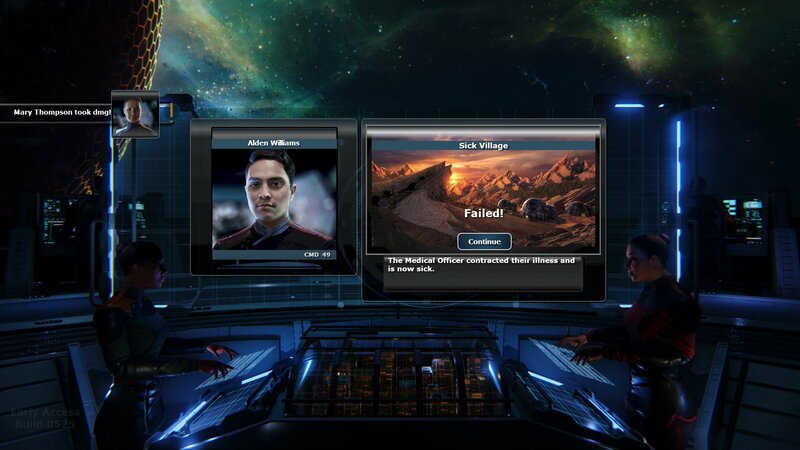 Space Simulators have enjoyed a massive resurgence lately. For what my money’s worth, I would say it all kicked off with the release of FTL: Faster Than Light back in 2012 (I hold that game responsible for the revival of the roguelike genre as well - but that’s another story). Why Buy This Game When There Are So Many Other Options? I’m glad I brought up FLT in this article, because from what it sounds like, Into the Stars is going to be more roguelike-survival than a straight-up space-dogfighter. 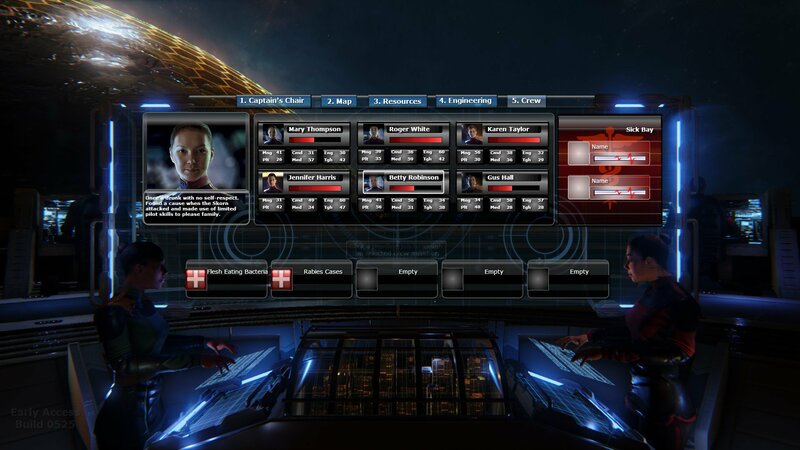 The game puts the player at the helm of the last spaceship to leave its home planet before the planet’s implosion, you are charged with charting out the unknown Titus Nova galaxy, finding a suitable planet for habitation, and transporting the survivors of your race to your new home world. The game makes you feel exactly like you should feel – a small, insignificant part of the galaxy. The only thing keeping you alive is an experienced crew and your razor-sharp wit. 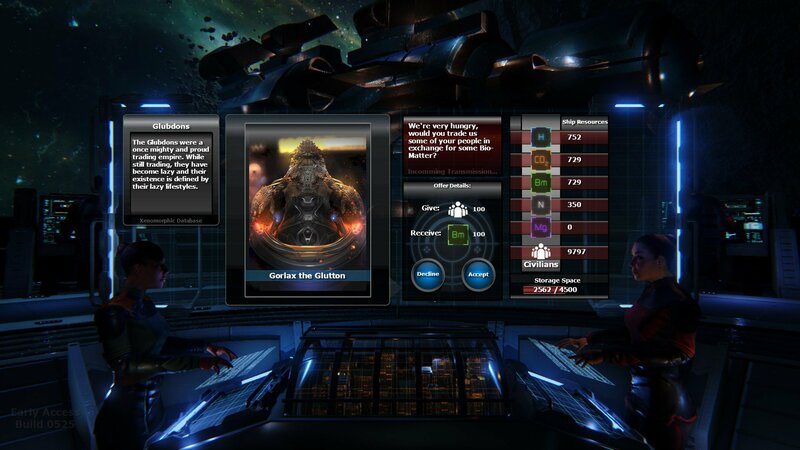 Upon commencing of combat, your crew will take position in one of the following stations: “Weapons”, “Medical” or “Shield”, the efficiency of these stations depending on your crew’s skill. 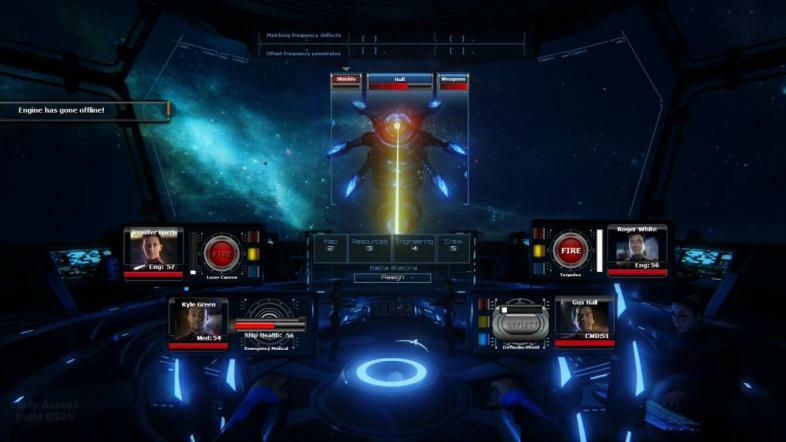 While your weapons charge, you can direct your crew in real time to repair the damaged hull or your weapons and shield – yes, you can successfully target your enemy’s weapons and shield to incapacitate them non-lethally. It’s not all about combat either - players get to explore different worlds, salvage ancient derelict spaceships, engage in diplomatic endeavors with warlords and smugglers, and help the locals with their various problems. 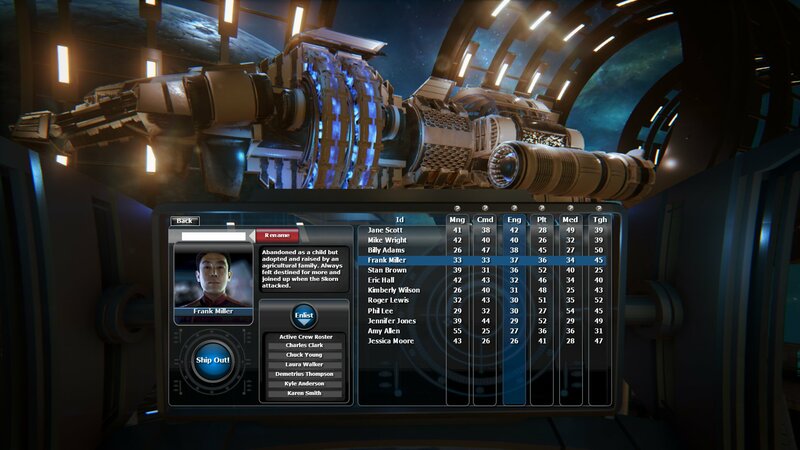 Into the Stars seems to be very much a game about taking calculated risks. 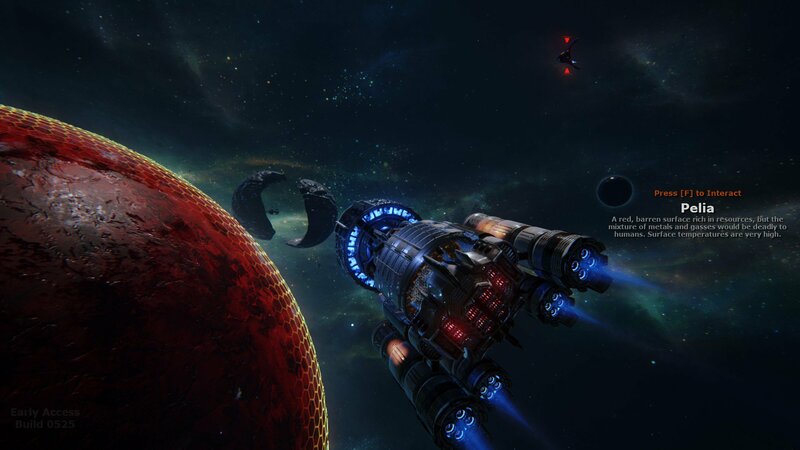 The game is perfect to realize the space-scoundrel within you, salvaging space wrecks, exploring uncharted regions in space and exploiting the occasional unprotected trader fleet. For all you self-respecting Han Solo and Malcolm Reynolds fans out there, this is your big chance to carve out your very own legacy Into the Stars (pun intended). 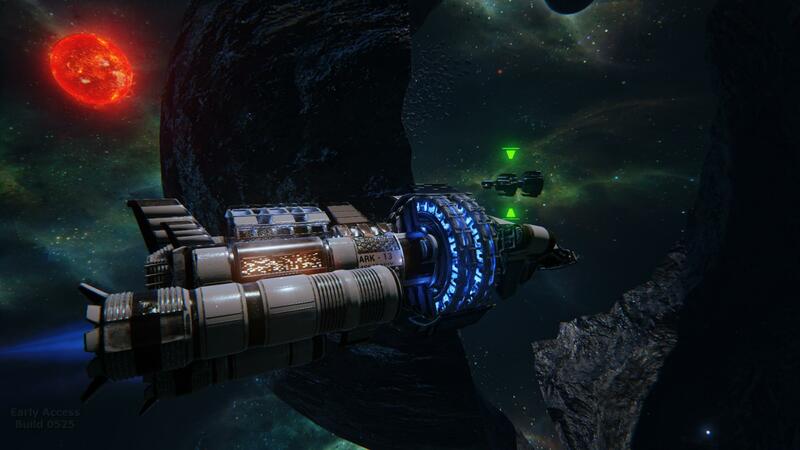 Developer Fugitive Games have announced the release of Into the Stars in Steam Early Access on July 9, 2015.